Since dyeing herself with mercury for her TV job. Haha, I think it’s to make fun of how some people put who-only-knows-what on their hair. That and dragons do it better? I found some old artwork by Dana when she was still David. The descriptions on them said her name was Miliani. Curses I posted that on the wrong strip! 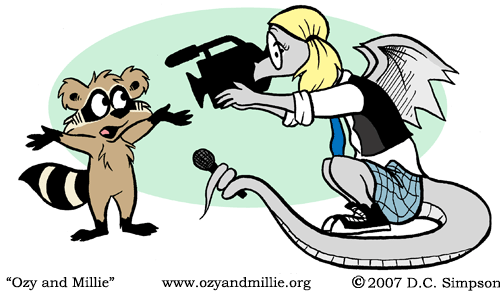 I like how Isolde is holding the microphone with her tail.